A boy has a pet. It’s a Pet Club Day. Clearly, the boy should head out to the Pet Club, right? Wrong. The boy has a little elephant for a pet and those are excluded. As the two rejected friends walk back home, they meet another pair of unwanted Pet Club members, a girl with a skunk. The children share their sadness regarding the ungrounded exclusion. However, instead of wasting time on sulking, they decide to open their own Pet Club, where everyone is welcome. Quite a popular Pet Club indeed. A very relevant story for readers of all ages. Diversity, however present in our lives, is still a controversial topic. Are we afraid of differences? Do we find sameness superior? What could happen if we started including instead of excluding? With her warm and subtle story about loyalty and friendship, complemented by equally warm and subtle illustrations by Teagan Yoo, Lisa Mantchev succeeded in sending a very clear message to our children. She vividly pictured how misleading and hurtful prejudices can be and how profusely our society could benefit from embracing diversity. Including can be so inspiring. Maple is a big sister and starts a big-girl school. Willow is a little sister and has to stay at home. Maple brings home endless exciting stories about kindergarten. Willow has to learn to have fun around the house by herself. Maple makes new friends at school, Willow meets Pip by an oak tree. Now Willow has stories to share too. As the girls learn to build their separate routines, they realize that they miss each other and find a way to reconnect and share their new worlds. Willow might be too small to go to school with Maple, but Pip isn’t. Yesterday was my son’s last day of the summer vacation. However nervous he felt this morning when I dropped him off at school, I am positive that when I pick him up, he will be bursting with excitement. I’m sure that his younger brother, a preschooler, will notice the difference between the summer with his brother and the fall without him. And that’s why we will read the story of Maple and Willow tonight, to remind my boys that they should never allow the school routine to drift them apart. “Maple and Willow Apart”, with its sweet pencil illustrations, is certainly a heart-warming celebration of the sisterly bond. And it is a wonderful book to read at this time of the year, to prevent the school-separation drama. Some like it hot, some like it cold, and little Peter Peters drank only warm milk. It wasn’t a problem for the patient Mrs. Peters. Her little Peter could always count on a perfectly warm cup of milk. Just like his sister Lucy could always be pleased with the homemade pink lemonade and their brother Mac with lump-free oatmeal. The kind Mrs. Peters ended up catering to preferences of all of her seven picky eaters. Picky as they were, the children appreciated their mother’s efforts. They tried to show it on Mrs. Peters’s birthday, which lead to the most surprising birthday gift for their hard-working mother. In this comic take on the topic of fussy eaters, which suddenly turns into a birthday book, the story is as familiar and fresh as mom’s homemade food. Many a mom can surely relate to Mrs. Peters’s cooking dilemmas and perhaps find her one-meal-for-all solution quite handy. The book is written in delightful rhyme, which only enhances the humor and makes reading aloud a family treat. Together with the engaging and hilarious pictures by Marla Frazee, “The Seven Silly Eaters” is quite a memorable book that will fill the tummies of your little readers with lots of giggles. Who can say “no” to baked apple pancake! As a big sister of three brothers, I used to struggle with my role as a child. Many a time did I wonder if we would ever connect as siblings. When I was in college, my two youngest brothers were finishing elementary school. I saw them a few times a year at most. But we did connect eventually. Now that we are all grown up, the age doesn’t matter and my brothers are beyond my siblings. They are my friends. In other words, the thing with siblings is that, sooner or later, they will bond, despite all the rivalry, jealousy, age gap and different personality traits. As read and seen in “Wolfie The Bunny. 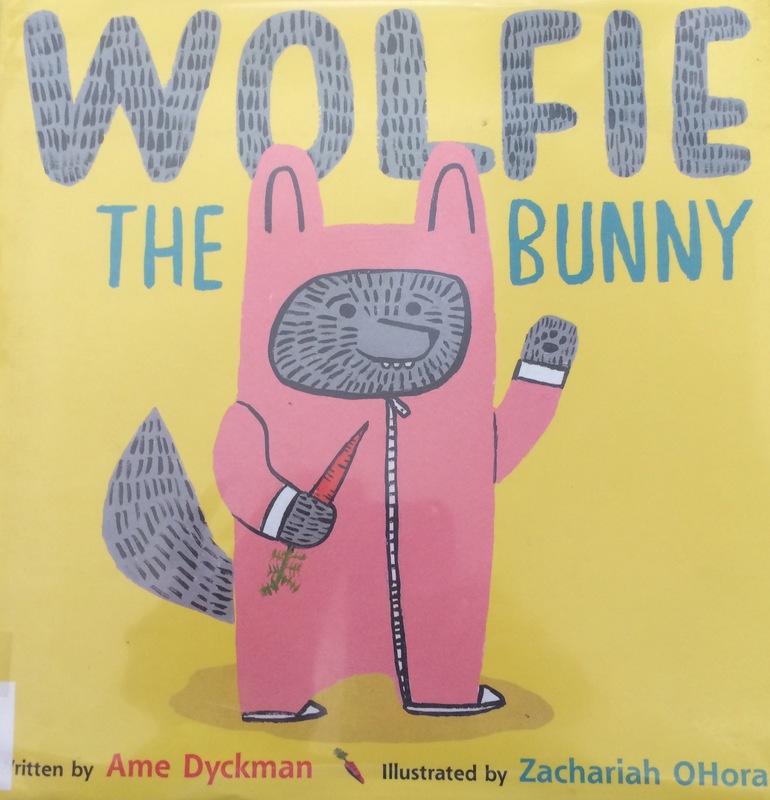 While the Bunny Mama and Papa are quite smitten with a new family member, baby wolf, Dot the big sister, just knows better: “He is going to eat us all up!” Wolfie’s growing appetite only confirms that the Bunny family will be next, after the carrots, which Wolfie can’t have enough. Just like he can’t have enough of Dot. He follows her everywhere, including the Carrot Patch, where Dot finally gets a chance to free herself from the unwanted helper. Yet, as the bear at the store tries to turn Wolfie into his dinner, brave Dot is the one to save him. And with what style! A warm and reassuring story about family dynamics, siblings, adoption, veggies… engagingly and creatively illustrated by Zachariah Ohara. I love reading it with my little boys, who prove this book relatable and relevant on a daily basis.